Since 1988, Closettec has been owned and operated by Mike & Judy Kowalski, who have succeeded by maintaining one goal – to make their customers happy! Thousands of clients have used Mike’s training as a professional engineer and Judy’s talents for decorating, to organize every corner of their home and business. 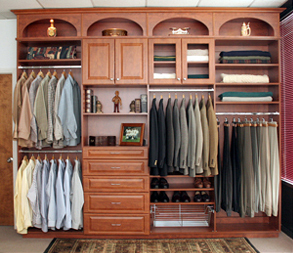 Closettec offers a turnkey space planning service. 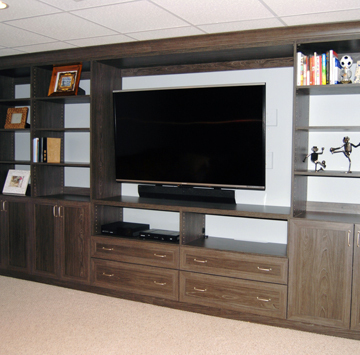 From designing the area and custom storage system, to manufacturing and installation by our courteous staff. They are guided by one principle: To treat your home as if it were their own. Please visit our showroom or call for a consultation. 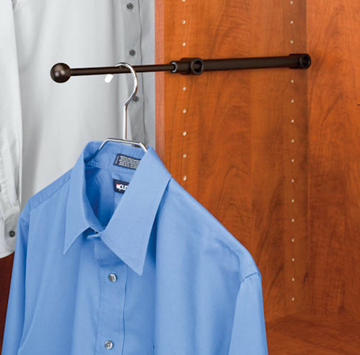 Closettec uses a European cabinet building technique called the 32 mm System. We support the adjustable rods and shelves from the hole system. We also use the system to mount hardware for doors, drawers, and other accessories. 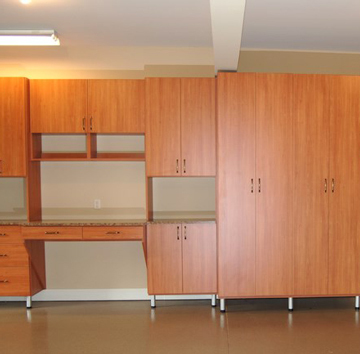 The material is 3/4″ cabinet grade melamine. This is available in over 30 different colors. Custom paneled doors and draw faces are a popular feature. We build our system from the floor up so the weight of all your belongings and our material is supported by the floor and not hung on the walls. We feel our system is the strongest and most secure on the market. Schedule an appointment to have our designer visit your home for a free consultation. 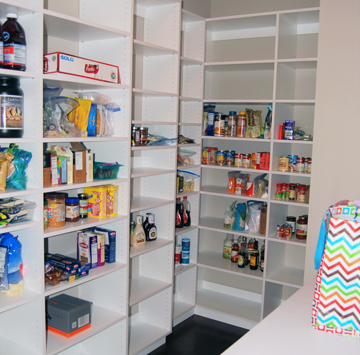 The designer will measure the space and inventory the items to be stored. We welcome your input for any special needs or design considerations. The designer will prepare sketches for a new storage unit possibly on site, or return at a convenient time to review them with you. This is an excellent opportunity to visit the showroom during drawing presentation. Approve the sketches and place your order. Schedule an install date and time. The installation crew will arrive to remove your old shelves, patch , and do minor touch up. 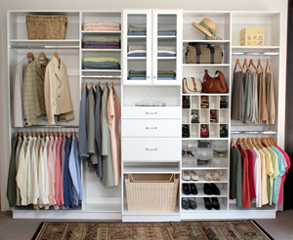 Install the closet system usually in a day, and clean-up before they leave. 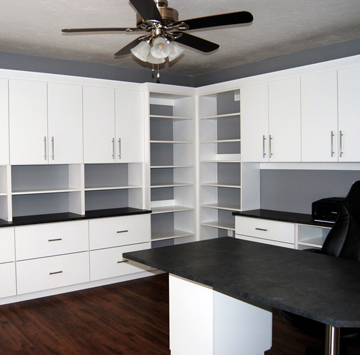 It is now time to store your belongings in your personally designed space. You are now ready to start and end each day with a smile.